Jury to Decide If Led Zeppelin Plagiarized "Stairway to Heaven"
"Stairway to Heaven" has long been considered a signature song in the catalogue of classic rock icons Led Zeppelin. But now a judge has ruled that a plagiarism case against the band will move forward and be put before a jury. The case was brought to the courts by Michael Skidmore, a representative for late Spirit frontman Randy Wolfe (a.k.a. Randy California). Before he passed away in 1997, Wolfe complained about the likeness between his own band's 1967 song "Taurus" and Led Zeppelin's "Stairway to Heaven," which was released four years later. The two bands toured together briefly in 1968 and 1969, and while Led Zeppelin's Jimmy Page admits that being on the road may have helped influence his songwriting, he calls the plagiarism accusations "ridiculous." As reported by Reuters, Judge Gary Klausner ruled that there are "substantial" similarities between "Taurus" and "Stairway to Heaven" in the opening two minutes, which he deemed "arguably the most recognizable and important segments" of the songs. According to the report, the defendants argued that Wolfe was a for-hire songwriter (voiding his claim to copyright) and that the chord progressions under scrutiny were "so clichéd that they did not deserve copyright protection." "While it is true that a descending chromatic four-chord progression is a common convention that abounds in the music industry, the similarities here transcend this core structure," Klausner stated in his ruling. "What remains is a subjective assessment of the 'concept and feel' of two works … a task no more suitable for a judge than for a jury." 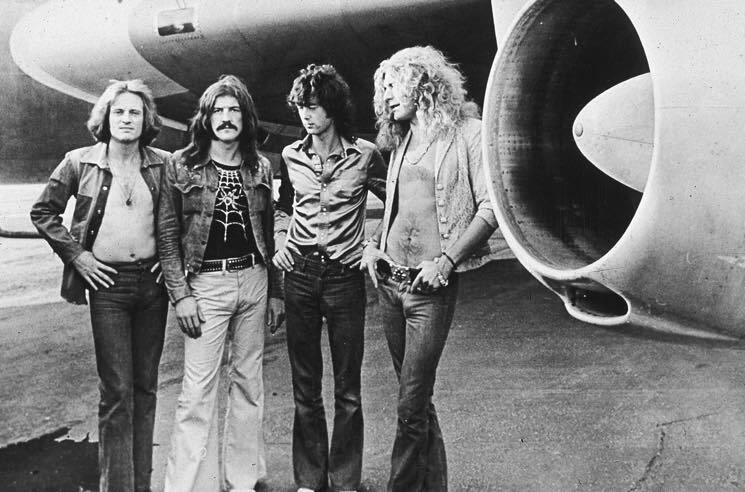 Page and Robert Plant are credited as co-writers on "Stairway to Heaven" and have been cited as the main defendants in the copyright infringement case, which will be going to trial starting May 10. Klausner dismissed Led Zeppelin's bassist John Paul Jones and Warner Music Group from the case. Feel free to do your own detective work by listening to both songs in question below.